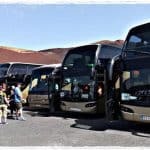 As First Minute Transfer we will provide you some tips to travel to Lanzarote in October. This is an excellent month for surfers but also for the general public. Keep reading and discover what you can do in this spectacular tourist destination. 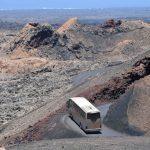 Lanzarote, in the Canary Islands, is a very popular destination throughout the year among Spaniards and foreigners. The climate and its beauties are not affected by seasonal changes. There are always many things to see and to do. It is a place where you will find elegant places, other eco-friendly and where you can spend your days walking, practicing water sports, cycling or tasting local wines. Everything will depend on what kind of vacation you have in mind. Because of its location, near the coasts of Africa, the beaches are its main attraction. Being an island, the sun, the sea and the sand are perfect all year long. It is one of the most popular destinations for vacations throughout Europe. Ideal for a short beach break. 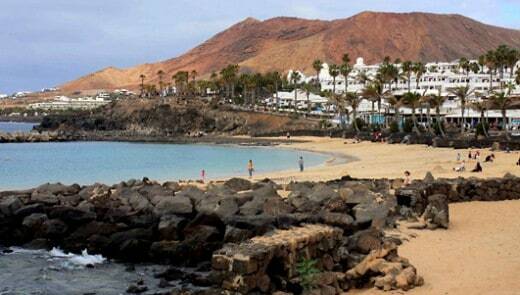 Puerto del Carmen, Playa Blanca, Costa Teguise are perfect to enjoy as a family. You cannot miss the old capital of the island: the Villa de Teguise and its famous Sunday market. 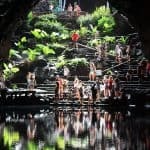 We recommend you to check the dates and places of the markets of Lanzarote. On the other side also the nightlife of this island has much to offer but you can also find quite options for families. 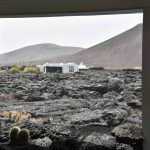 In most of the places previously mentioned we can see the influence of César Manrique, architect, artist and environmentalist who was able to save Lanzarote from the uncontrolled development and explotation. He created extraordinary places that accentuate the geology of the island, all of them are e very important tourist attractions. Today we want to talk to you about the option to visit Lanzarote in October. 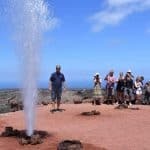 In general the entire year is a good time to visit this island characterized by a volcanic landscape. 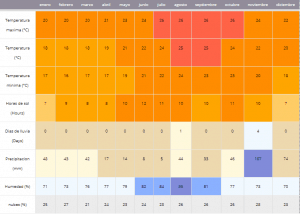 The average temperature throughout the year is 22 degrees Celsius and most of the time it’sunny. 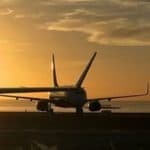 Probably you will find windy days but just very fews of bad weather. October is a very good month to travel if you want to see and enjoy the island with less tourists. 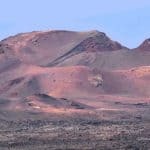 The maximum temperature of Lanzarote in October is 26 ° C and a minimum of 23 ° C. The general average is 24. For this month it has been estimated 11 hours of sun and little rain. Humidity is around 77%. 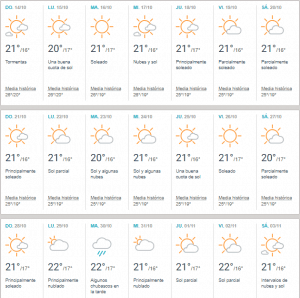 The forecast for this year according to AccuWeather indicates minimum temperatures of 16 degrees and maximum of 23. Although it is very difficult to predict how the weather will be in a month. But you can have an idea of ​​how pleasant the weather on this island is. 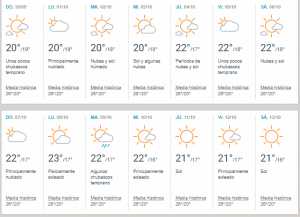 The weather that makes Lanzarote so ideal for vacation. The temperature of the water in Lanzarote in October is very warm. The lowest averages 24 ° C and the coldest 22 ° C, the average would be 23 ° C. Experts indicate that the temperature of the water that makes people feel most comfortable to swim is between 21 and 26 degrees. 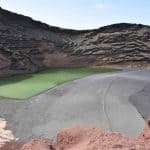 There is no optimal number because it depends on each person, but you know that you can bathe in Lanzarote in October without any problem and enjoy the beautiful beaches. 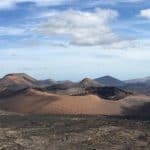 It is normal to find windy days in Lazarote in October. This makes this destination perfect for surfing this month, so if you like this sport consider it is a good opportunity. Wind in October should not worry so much, because it is a very good time to visit Lanzarote. The island is quite vs the summer tourism and the weather is perfect to go to the beach or walking or hiking. 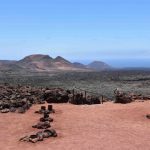 Like the rest of the year, October it is a good time to see the south coast of the island and visit Playa Blanca, Puerto del Carmen and Costa Teguise, in addition to the spectacular volcanic landscapes it has to offer. Lanzarote is known as the Hawaii of Europe and October is an excellent month for those who love this sport. The waves, the weather and the location are perfect. Waves are consistent all the year but From October to March they are even bigger. You will find good waves during the entire year. So the date you decide to visit this island is not a problem. No matter about your level of expertise in surfing, be a novice or expert, you will find good weather and good waves in Lanzarote. For example, the most experienced can try the waves in La Santa or El Quemao, while the beginners will find school in Famara that is the best place to start to practice this sport. It is always important to be very careful practicing this kind of water sport. Depending on the wind there could be very strong waves, that’s why you should be aware of the weather conditions and if you are a beginner please pay attention to the instructions of the experts surfers.